Multilingual dictionary. 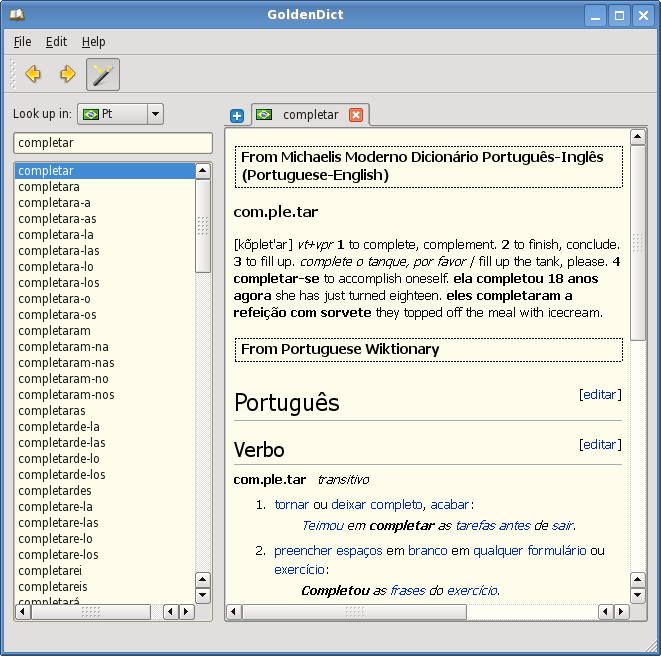 After download the interface provides translation only by Wikipedia, Wiktionary and other on-line resources. Off-line dictionaries can be downloaded from here. The software supports dictionaries of the following types: Babylon (.bgl), StarDict (.ifo/.dict./.idx/.syn), ABBYY Lingvo (.dsl).